Canine distemper is contagious and is a virus that cannot be treated. 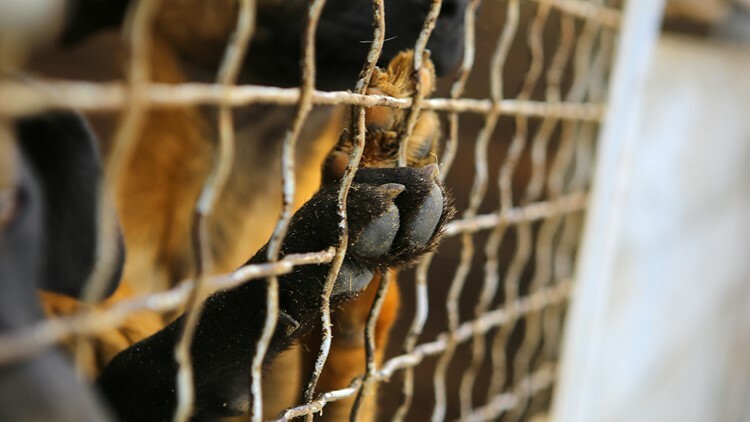 ODESSA — Some dogs housed at the Odessa Animal Control Shelter showing symptoms of canine distemper will be euthanized, according to a press release from the City of Odessa Wednesday. Canine distemper is contagious and is a virus that cannot be treated. The City did not specify the number of dogs that will be euthanized or the time or date when the euthanization will take place. The City said it was first notified of the possible exposure Nov. 28. Once notified, the City said proactive measures were taken to prevent the spread of the disease to other animals at the shelter. Several placement partner groups helped the shelter getting numerous animals out and the building where the possible exposure occurred was cleaned to prevent further spread of the illness. Despite those efforts, the City said in the release, a few of the exposed dogs began showing severe symptoms (several dogs were euthanized at that time because they were exhibiting signs of the illness and not eligible for release) and many other dogs are now showing common symptoms consistent with distemper. Those remaining animals have likely been exposed to the illness. “We are working with local veterinarians to confirm whether or not the illness is distemper and to determine the best course of action. We have requested assistance from our placement partner groups again but understand their limited resources were strained by the animals taken last week,” the release said. Owners, who were reclaiming pets after the shelter was notified, have been advised of possible exposure to their pet and were advised to follow up with their veterinarian. The release said that euthanasia will be performed on dogs that are ill, in accordance to policy. America Pets Alive has offered to help the Odessa Police Department with this outbreak. America Pets Alive is a division of Austin Pets Alive and has success in helping other shelters such as Lubbock and Harris County contain and deal with distemper outbreaks. The shelter is currently not taking in any animals until the building has been completely sanitized.